THE WESTERN Bulldogs have re-emerged as a serious contender for Essendon key-position player Jake Carlisle's signature. The Bulldogs were linked with the out-of-contract Carlisle for much of this year but more recently were believed to have cooled on the 23-year-old. When Carlisle announced two weeks ago that he wanted to leave the Bombers via a trade, St Kilda, Carlton and North Melbourne were seen as the frontrunners to secure his services. But AFL.com.au understands the Bulldogs have recently rejoined the race – North pulled out after meeting with Carlisle two weeks ago – with rival clubs in no doubt that the Dogs are again keenly interested in securing the 200cm Bomber. The Bulldogs' renewed interest in Carlisle comes as out-of-contract key defender Michael Talia's future at the Whitten Oval seems more and more clouded. It is believed the Dogs recently offered Talia a new two-year deal, but the key defender is yet to recommit and has been linked with the Sydney Swans and, to a lesser extent, Adelaide. News broke on Tuesday night that the Bulldogs had asked the AFL's integrity unit to investigate whether Talia had leaked "game-sensitive information" to elder brother and Adelaide defender Daniel ahead of the club's seven-point loss to the Crows in this year's second elimination final. Carlisle played 85 games in six seasons with the Bombers after being claimed at pick No.24 in the 2009 NAB AFL Draft. 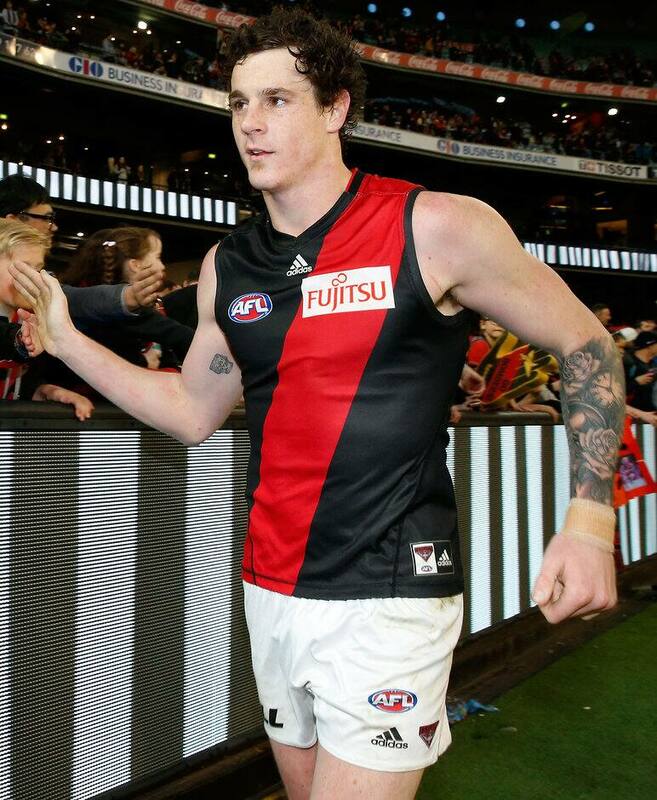 He played predominantly in attack over the past two seasons, but has produced his best football in defence, finishing a career-best sixth in the Bombers' 2013 best and fairest count as a backman. Carlisle is yet to nominate his preferred new club.